Horizontal linearity is just fine. The *very slight* bowing on the left side is a pincushion "issue" (i.e. not a real issue). If the unit has separate pincushion and upper picushion adjustments, try those. I have a problem with a 1900 which has 47k (focus and geometry is very good), from time to time the image shrinks horizontally and then returns to normal, also it shakes weakly in vertical. An idea which capacitor should I change? Mine does it too (despite having just about 1k of use). Only on the vertical axis, and only by one or two scanlines, but it's quite annoying. I've read a few CRT repair FAQs and the item that comes closer to defining what I see is the so-called 'breathing' problem here (third bullet point), but who knows it may be totally off the mark. I have an ikegami HTM1700R (rebadged JVC DT-V1710CG). That I can't really get to work well with my Sharp x68000. Has anyone got these to work with the x68000? I've tried using several extron units and most of time they just make it worse. Made in KiCad, I'm gonna put it onto github as soon as I get each project isolated properly. Does anyone know what the best VMMaker options for the DT-V series are? I know the basic resolutions this monitor can handle, but I wouldn't know where to start with getting all the exact timings it can display. After a long long wait I finally received my consolised Neo Geo MVS and there's no upper skew on the DTV ! I know the modder used an LM1881 but everything else regarding the video signal is as usual. Nice work! Any chance you can clone the board for the IF-C01CMG too??? but seriously if anyone know where to track one down I would love to purchase one to use with my JVC DT-V100CG display. Whilst not exactly related to this thread i though it would probably be best to ask here. Does anyone know what the difference is between the JVC BM-H2000PN and the JVC BM-H2000PN-K, not sure what the 'K' signifies?? Has anyone tried to remove the anti glare coating from the DT-V? 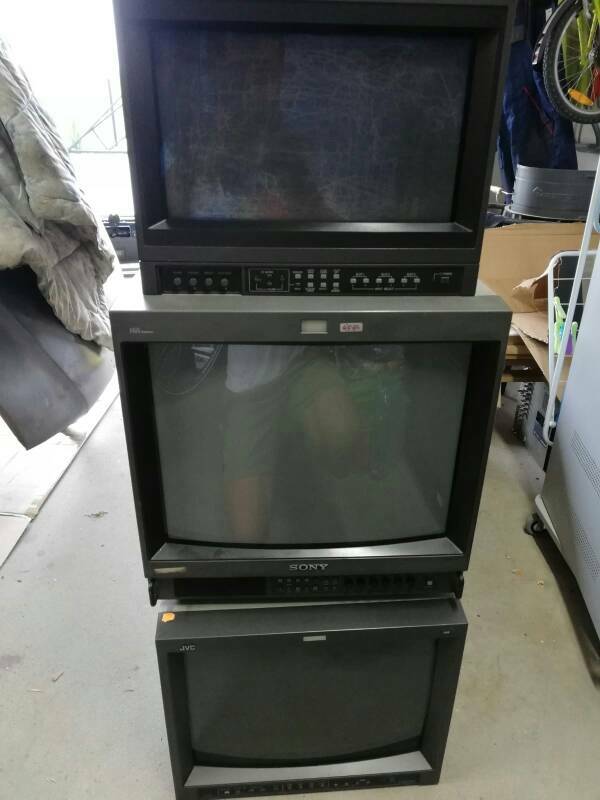 Is it similar to Sony PVM and BVM monitors? I live in Japan and used this windshield polish. It took over and hour to really get the coating off. It came with its own polishing pad. There are a few videos online with people removing the AG coating on different crt monitors and the process is all the same. Remove the front bezel, peel away at the corners, and then just use brute strength. I would only do it as a last case scenario like in your case where the scratches are bad. But if you keep away from the light then youll be fine. There are a few videos online with people removing the AG coating on different crt monitors and the process is all the same. I'm not so sure about that. Sony monitors have a plastic screen that You can peel off, but not all monitors are the same. I'm not realy sure, but I think that on the DT-V there is some kind of chemical coating. This is correct. If you look up the patents, you can see that the coating method involved using hydroflouric acid to create the bond with the glass. That's pretty serious business. 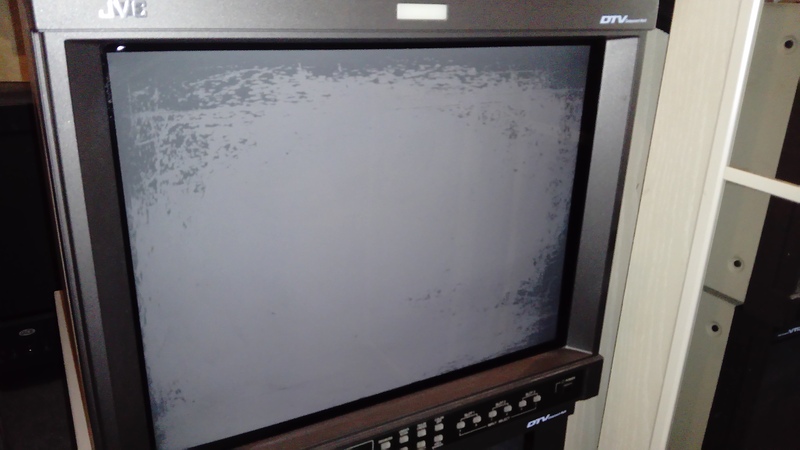 Isopropyl alcohol is not strong enough to completely remove the coating on DT-V monitors in my experience. It might get off the stuff that had mostly lost its chemical bond already, but you're almost certainly not going to get the screen 100% clear of it. I tried isopropyl alcohol, acetone, lye and hydrochloric acid (10% solutions), and even baking soda and mineral oil, and the only thing that got up the coating that was still strongly bonded to the screen was that windshield polish. Its main ingredient, by the way, seems to be cerium oxide, if that helps. The HF is probably just to etch the glass and the anti glare is sprayed on rather than applied as a film. That would explain why only an abrasive can remove it. Last week I've recived my monitors, so I've tried to remove the coating on one of them (from march 2008 with 23k hours) using isopropyl alcohol first. It worked realy great! It came off almost copletely after 5 minutes of work (there is still a bit left on the edges)! And I have another question: I have a few HD SDI input cards. Are they useful in some way? I thougt maybe I will buy a HDMI to HD SDI converter just for fun, to see how it will work. Anyone tried that? I received a JVC TM-H1750CG Monitor this Sunday. The Preowner had removed the 3 capacitors for RGB Mod, but I want to make an YUV/RGB Card instead Mod. They are 0.1 microfarad, 16V. My multisync Sony PVM cracks when the input resolution changes. It's probably normal? I don't know, if yours does it too I guess so. 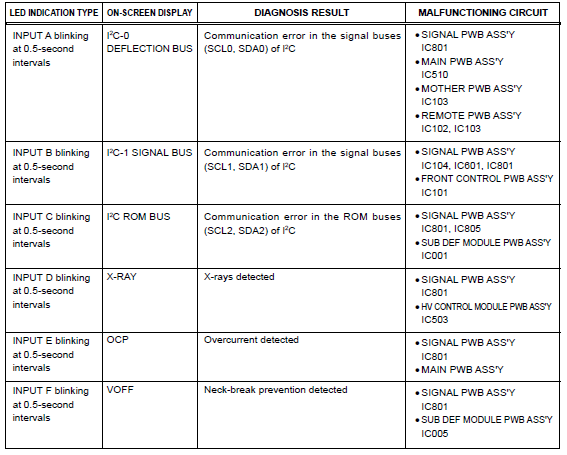 I thought it was an odd behaviour given that all of my CRT monitors are silent when switching resolution through the OSSC. It also makes me wonder about what sets apart VGA from TV monitors - ability to sync to all contents within a given frequenct range vs standard broadcast res support only? Different gamma curve maybe? What's for sure is that a LaCie Electron IV went for €500/600 while the DT-V17 was five times that, for whatever reason. I think it depends on how it switches resolution (mechanical or in software). My tri-sync arcade monitor makes a click sound when switching 15khz to 24 or 31. It sounds concerning at first - like you aren't sure if it is meant to be like that but it is. I recently acquired a Japanese Victor DT-V1700C. I'm running it in the US through a VCT VT-500J 500W step down converter. When I turn it on, the power light turns green and the unit seems to boot up, but then it makes a clicking noise and I get no picture. The power light turns orange, and Input lights A and B start to blink. Could I be using the transformer wrong? 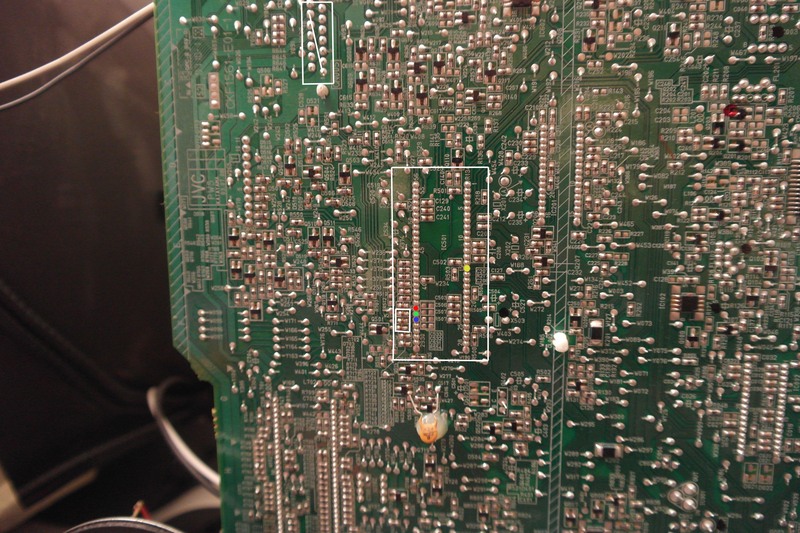 I'm a proficient solderer—any idea if I could fix this as long as I knew what I was looking for? I have exactly the same problem that breadvanwinkle has on my DT-V1710CG. The lights on Input A and Input B are blinking and the screen will not turn on. Anybody has a possible solution? An update on my DT-V situation. It now works like nothing ever happened. I just tried turning it on every couple of hours since the problem appeared and this morning it just turned on normally. That was some communication error. Anyone selling a jvc dt-v1910cg? Yes. We all are. $50 each. On a separate note: Is there any sort of confirmation regarding how the hour counter increments on the TM models? If that 1 = 100 claim is true then the 1900(now technically 1950) in the video has pretty damn low hours as 025 = ~2500. The 1750/1700 on the other hand is sitting somewhere in the range of 65000 or so. More scanlines than your body has room for.